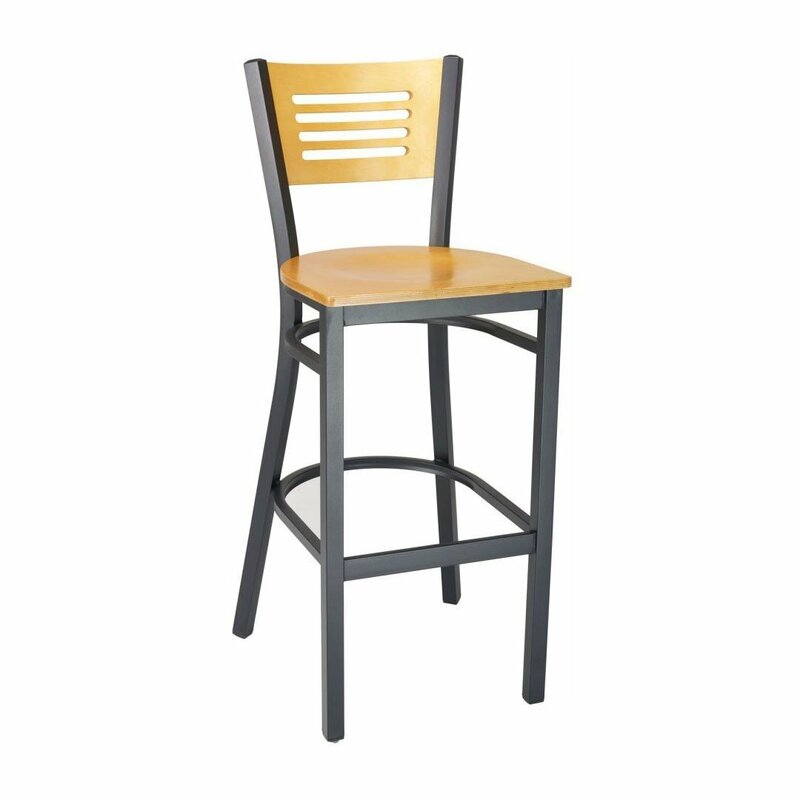 Our Modern interior metal commercial restaurant bar chair provides comfortable seating for any bar, sports bar, or bistro at a great price. The metal frame is protected with a powder-coated finish for long lasting service without scratching or chipping. With a natural color wooden back and seat on a black frame, this restaurant chair radiance contemporary style that is sure to attract customers in for a drink. Our restaurant furniture comes with a 2-year commercial warranty. • Dimension: W 16" x D 16" x H 42"